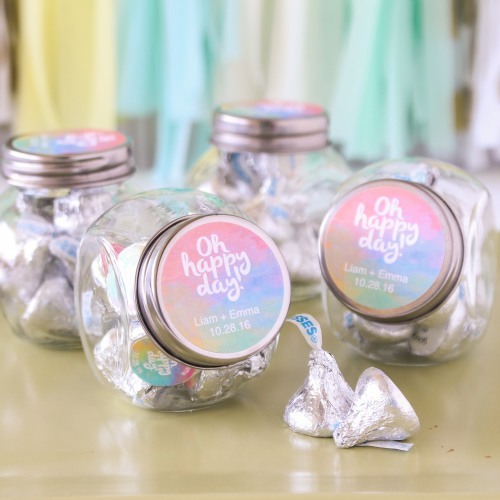 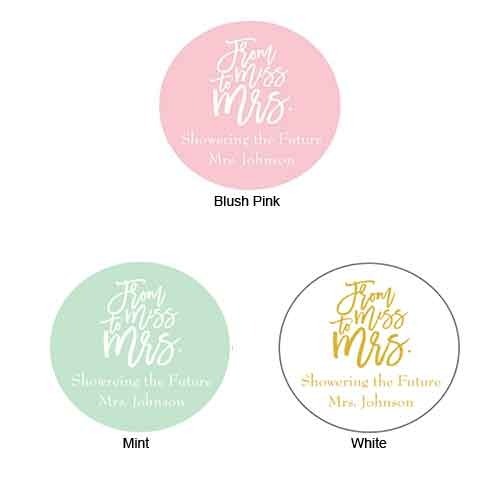 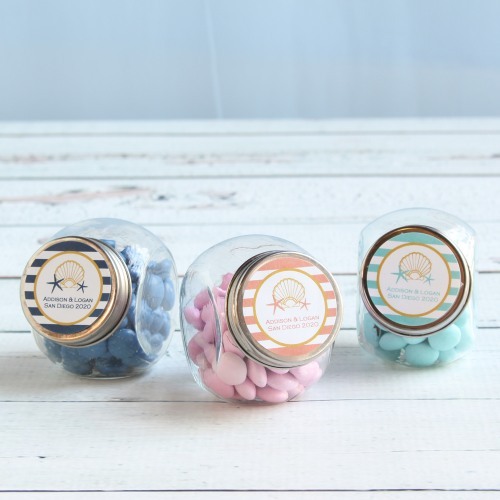 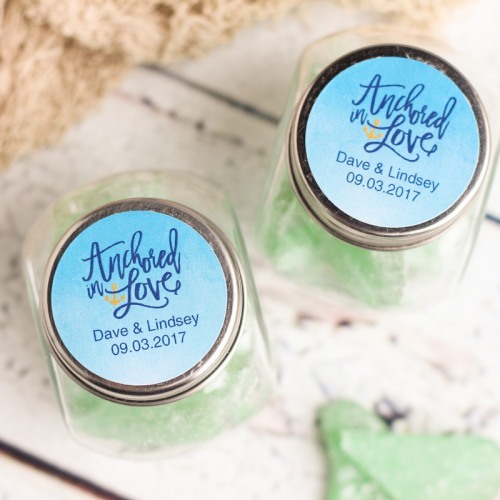 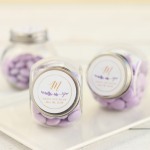 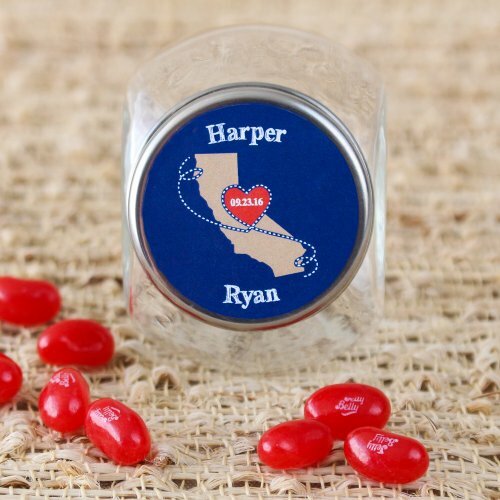 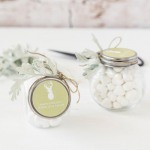 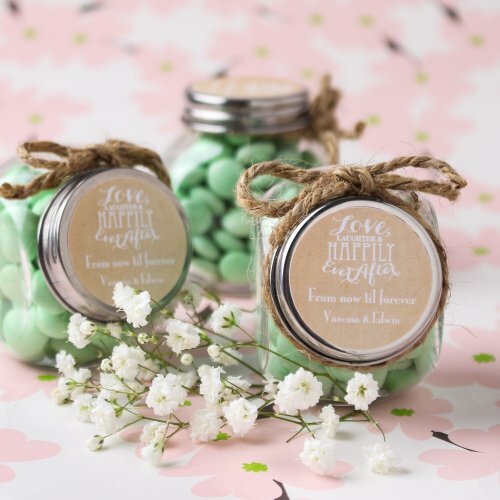 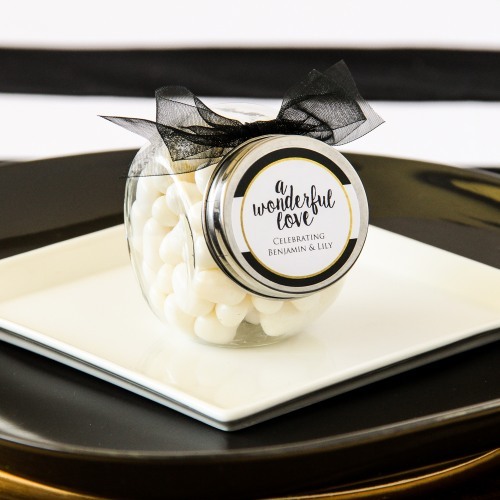 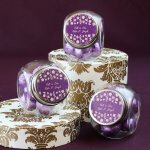 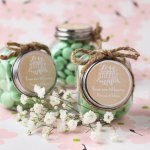 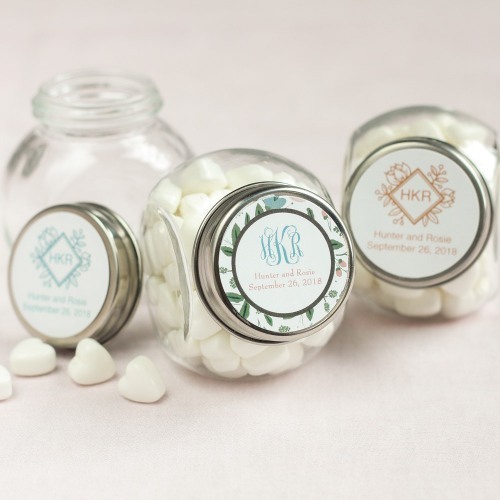 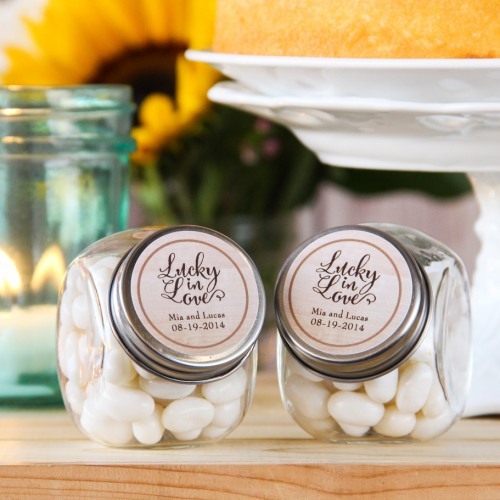 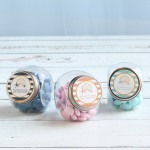 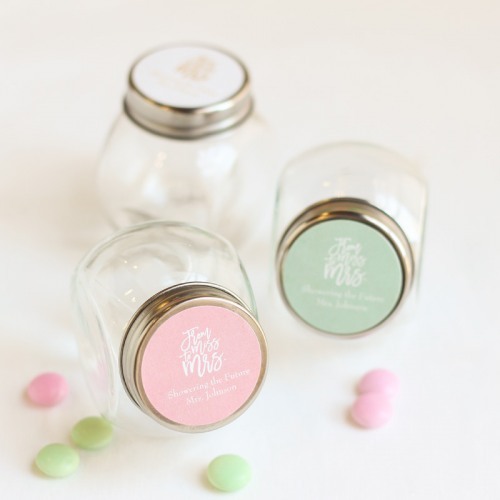 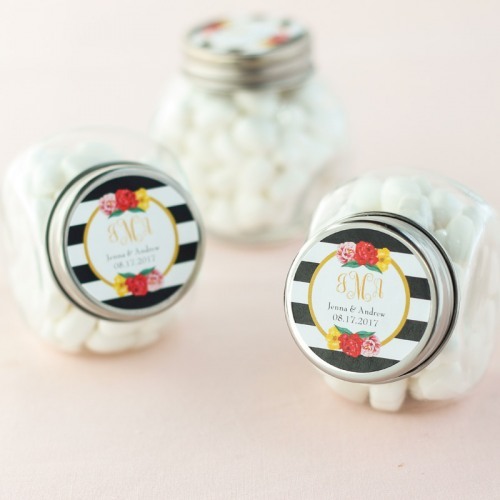 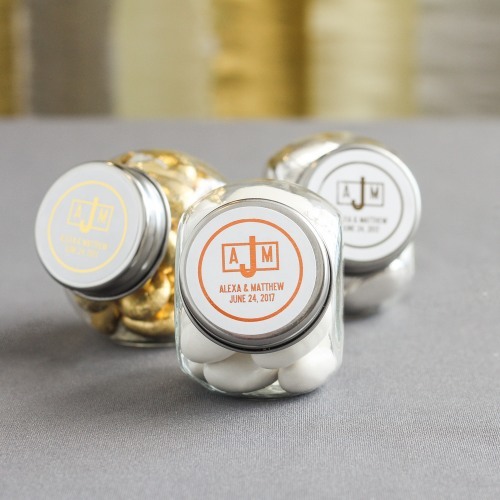 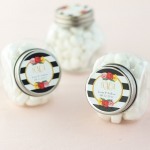 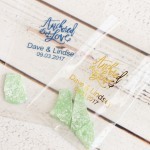 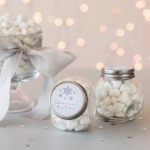 Give your wedding guests something sweet to take home with these exclusively designed, personalized candy jars. 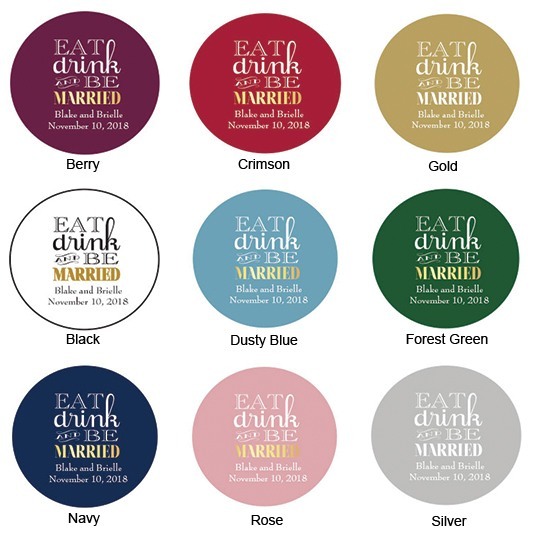 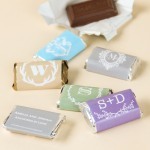 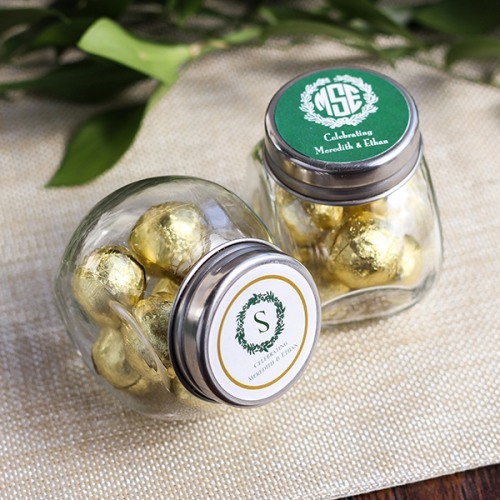 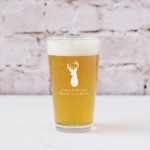 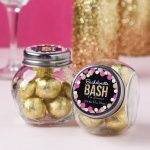 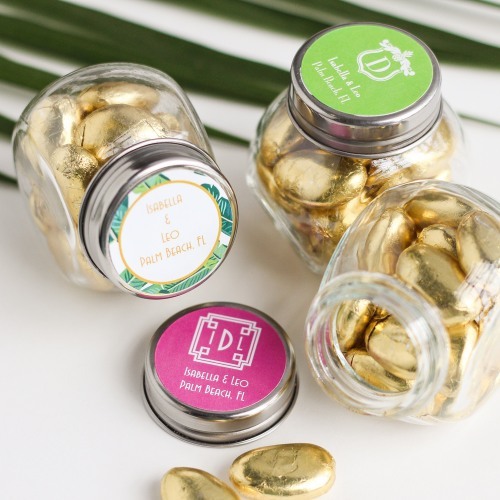 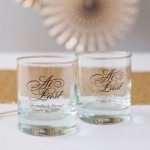 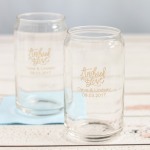 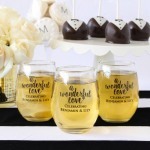 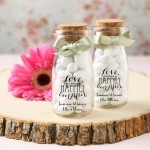 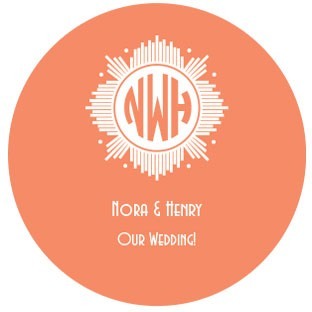 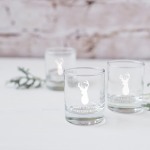 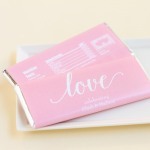 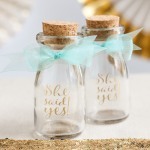 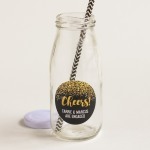 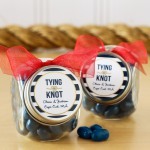 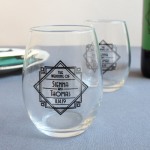 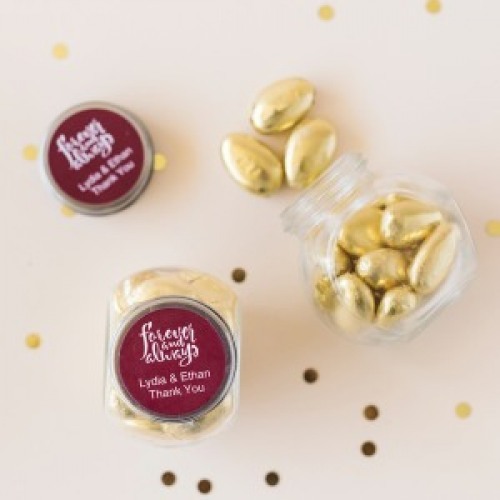 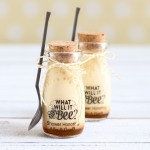 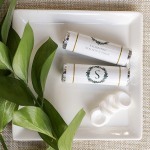 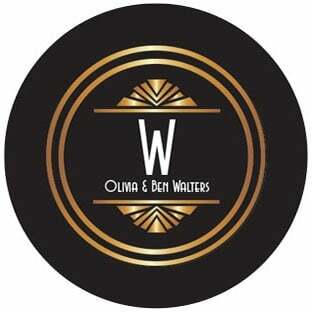 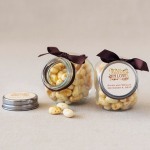 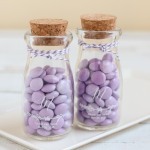 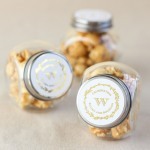 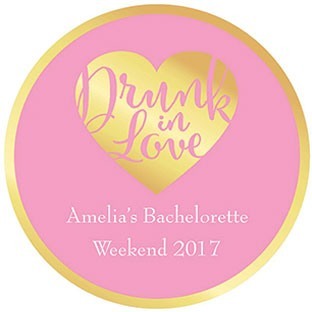 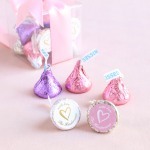 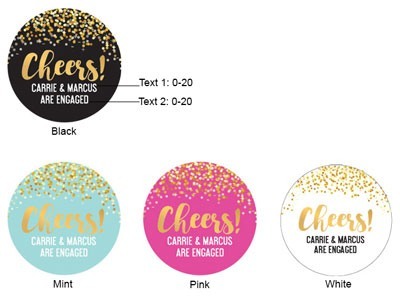 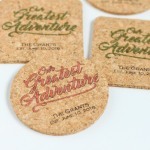 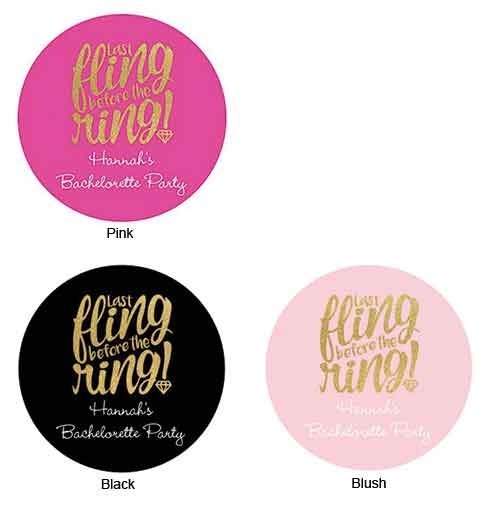 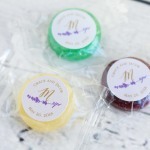 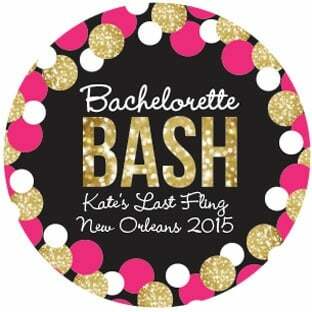 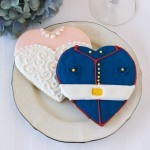 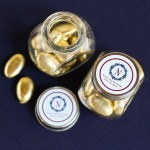 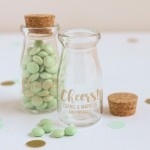 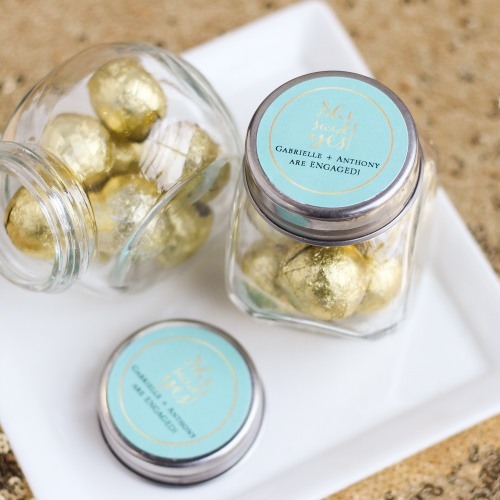 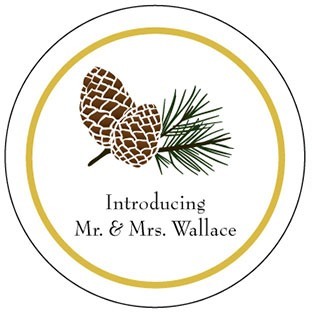 These vintage-style favors are made of durable glass and come complete with a metal screw-on lid. 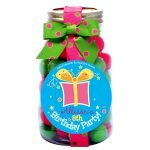 Use them to add a pop of color by filling them with your favorite color-coordinated candies. 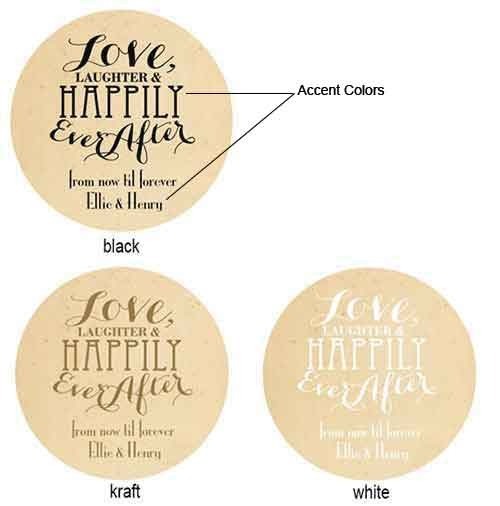 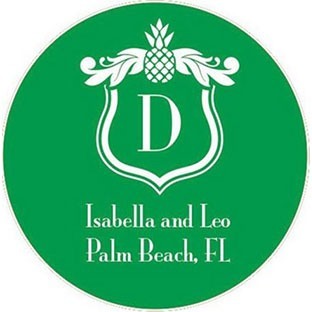 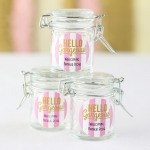 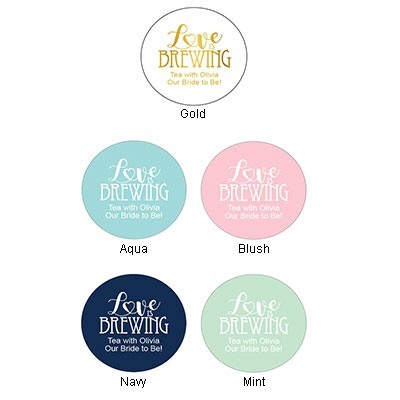 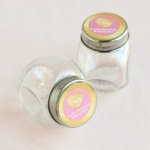 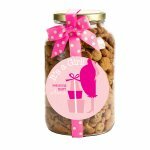 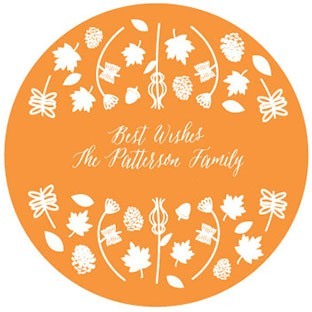 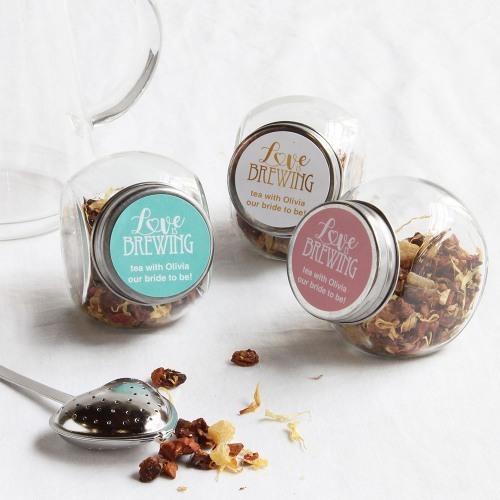 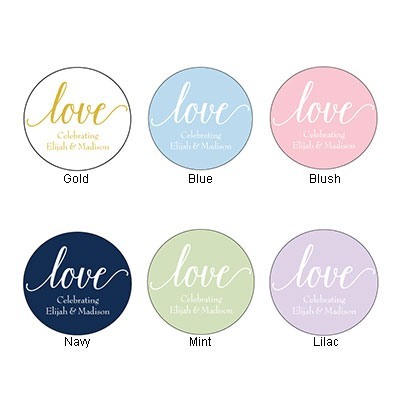 Personalize each jar with one of our many delightful lid designs. 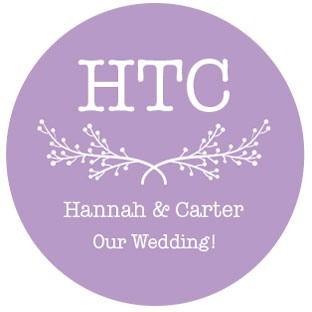 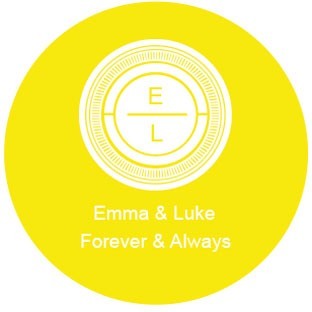 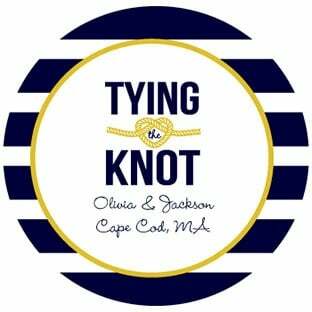 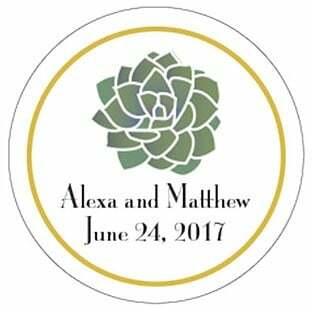 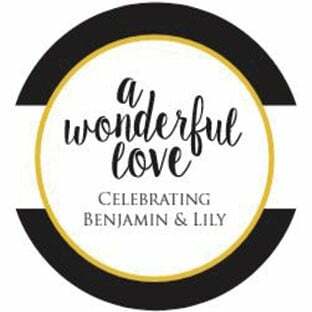 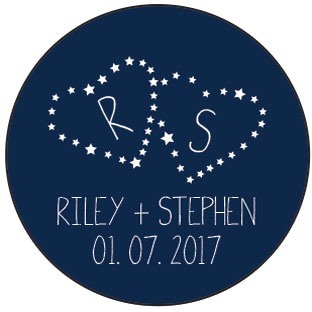 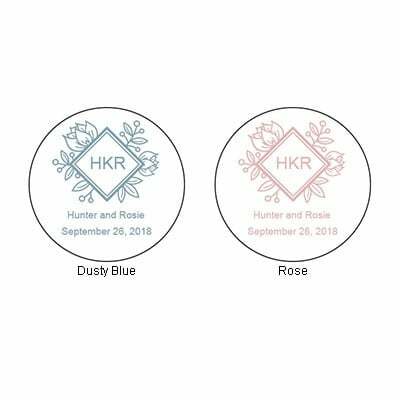 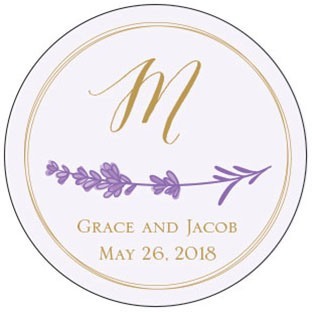 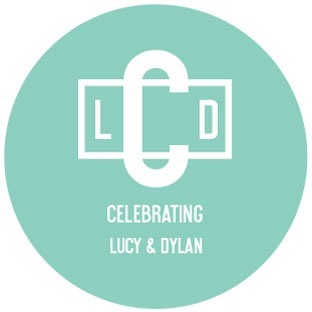 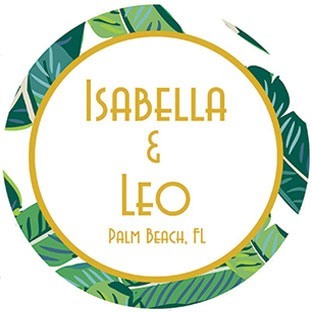 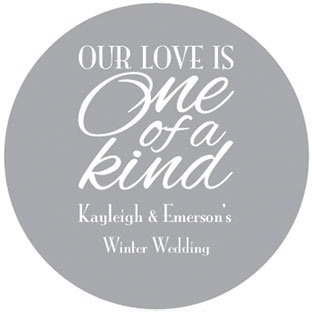 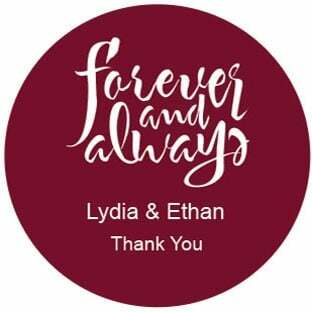 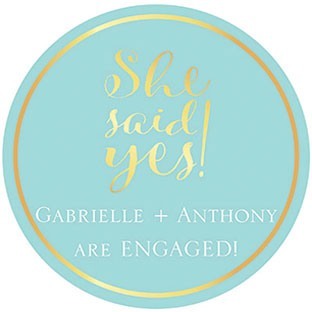 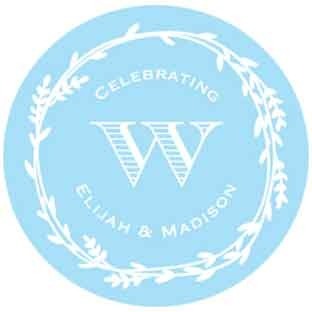 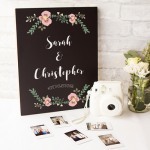 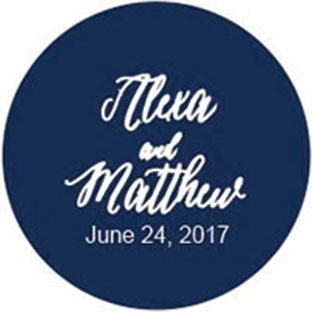 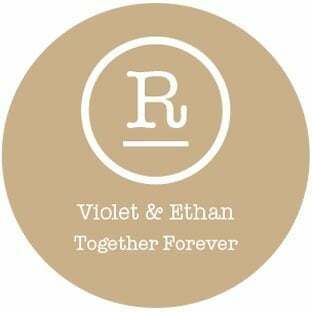 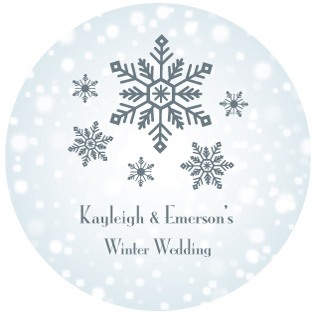 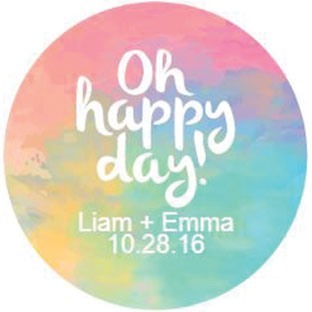 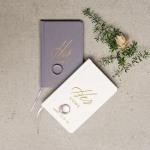 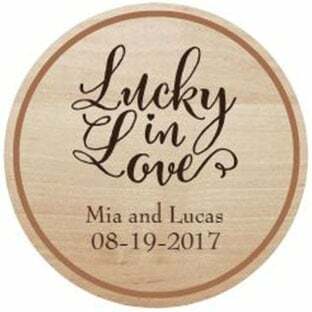 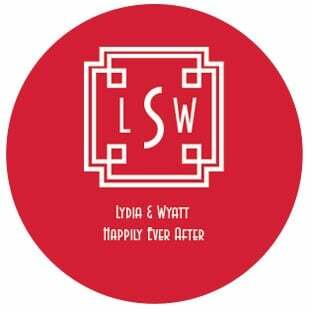 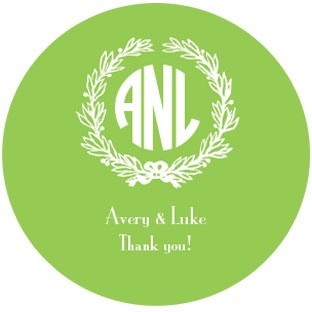 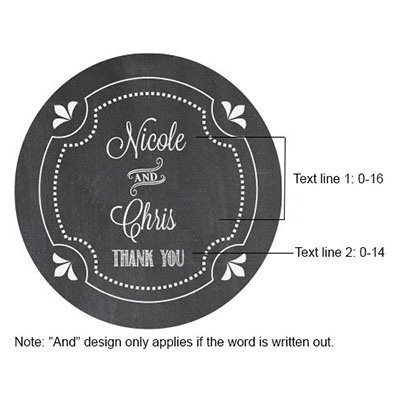 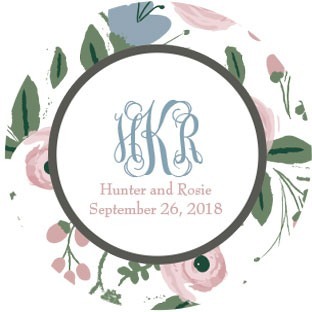 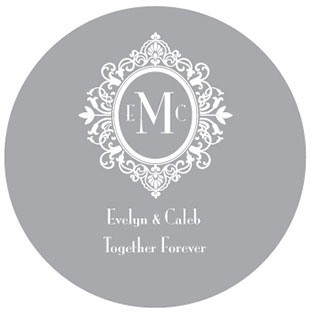 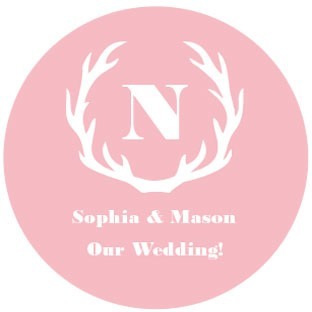 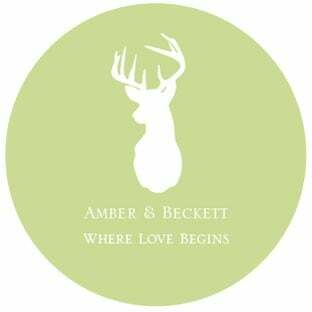 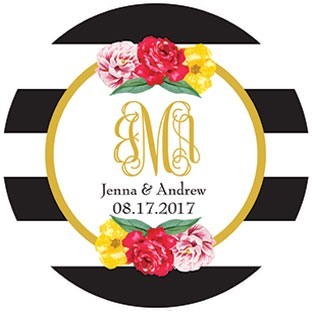 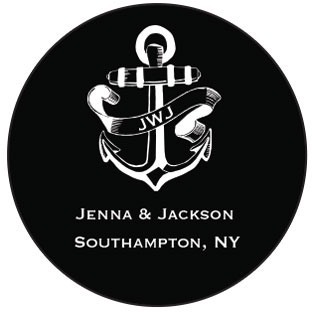 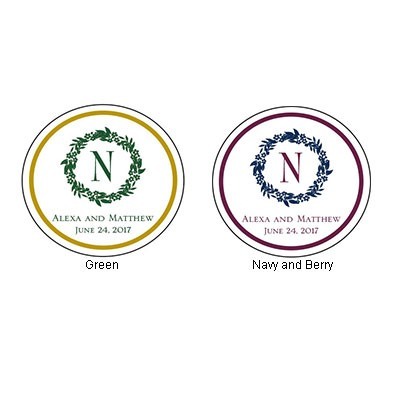 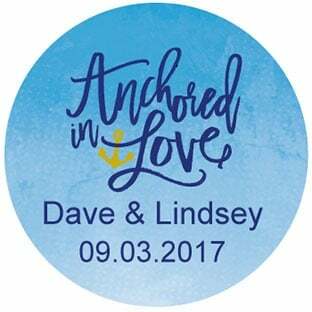 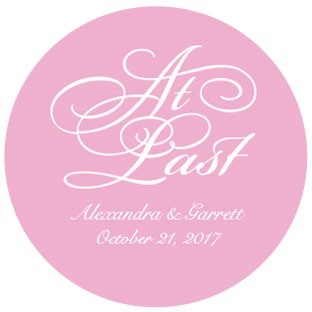 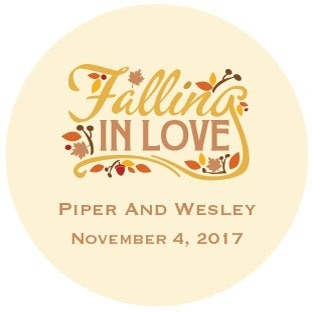 Plus, you can include the couple's names, date and/or a personal message of your own. 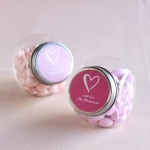 Simply peel and stick the colorful labels on each lid, and refill and reuse to your heart's content! 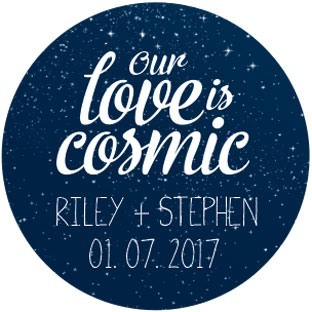 Some minor assembly required.